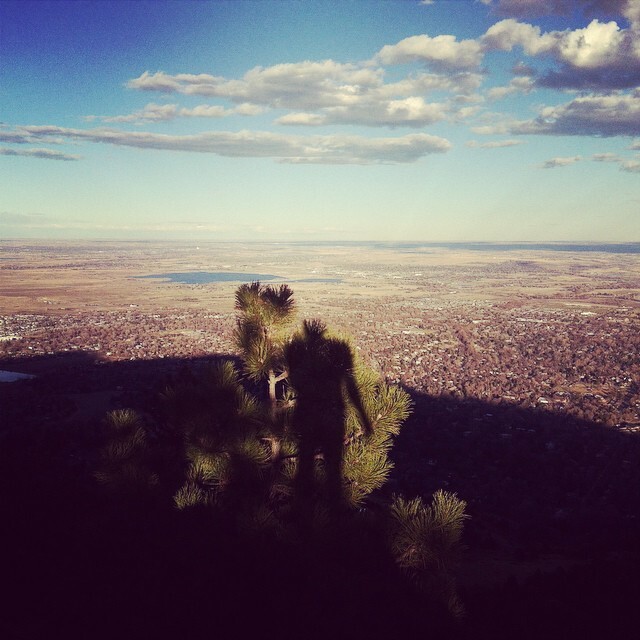 In January, I attended the Outdoor Retailer + Snow Show in Denver. There was a film screening in the Bellco Theater with endless rows of attendees, all supposed outdoorists or were at least involved in the outdoor industry somehow. The films shown had to do with advocacy or inspiring action to better the future, such as implementing climate solutions and embracing unity and camaraderie. “Night of Stoke” was the title of the event. But there is a problem and it is systemic to the human condition: We are inherently adverse to change. When the event was over, I was shocked. Trash lined the floor, was stuffed beneath the seats. Empty beer cans, cups, chip bags, bar wrappers, napkins, pamphlets, etcetera, etcetera. In droves. In piles. This wasn’t the first time I’ve seen this happen at an outdoor industry event. Yet what happened to what we just saw about athletes proving they can ski their hearts out while driving an electric car and bicycling more to reduce their emissions impact? All these promotions for Leave No Trace ethics? I’m sure this includes picking up after oneself in an auditorium. 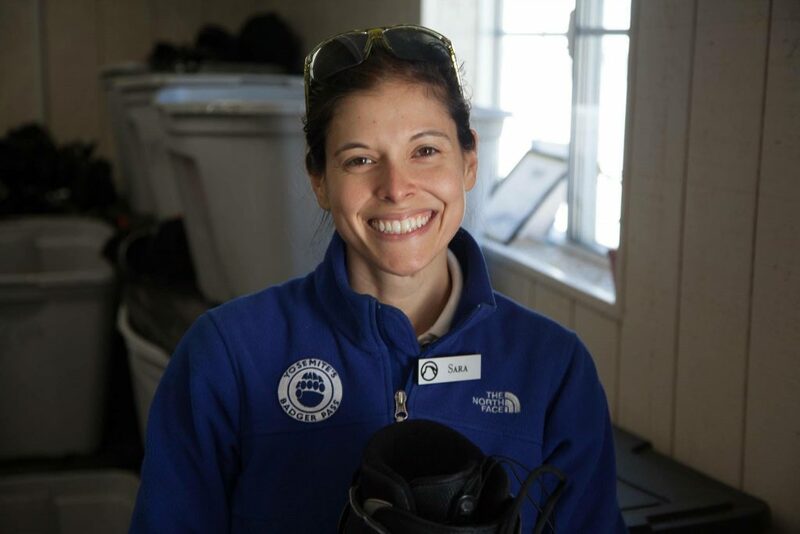 It’s wonderful to know that our community of enthusiasts, recreationists, visitors are likely to uphold these principals beyond the trailhead, but it is not enough. To uphold such ethics only outside—occasionally, conditionally, locationally, and often, half-heartedly—is problematic. The Leave No Trace philosophy can and should be applied to everyday life. 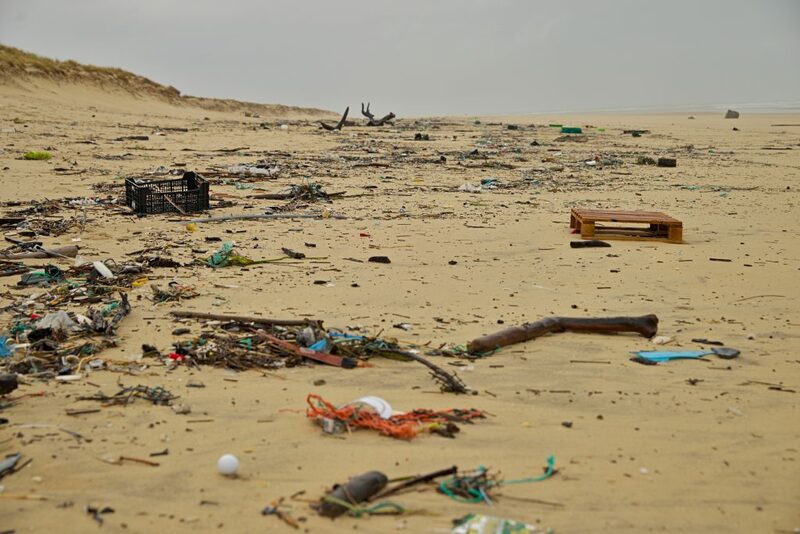 Plastic litter and trash found on a beach in France. My takeaway from the “Night of Stoke” was that people leave events, seminars, or classes with information, but rarely with change. Seldom do we internalize the mantras, ethos, and stoke that keynote speakers, films, and advocates initiate. Their messages, the ones that we as “outdoorists” and stewards of public land clap for and claim to uphold, never start in the rooms we hear them in. Why? Because principles like Leave No Trace are only applied where they traditionally have been applied: outside, and we teach it so. At home? In a building? In the city? Meh—someone else will clean it up. That’s what janitors are for, or why my room is a disaster. Sounds elitist, doesn’t it? Well, this is the very mentality that ends up making its way onto public lands. Someone else will do it. Someone else will save it. If you can’t incorporate these ethics into your home life and routine surroundings, then how can you say you effectively implement them on public land? If you do not respect the outdoors in the same way you (hopefully) respect your home, church, or routine surroundings, how can you ever be a consistent and holistic steward? Leave No Trace practices should be a lifestyle, not a pamphlet you browse through and utilize a few times a year. Goals for hiking a trail and never seeing a piece of trash or poopy toilet paper should also translate to attending an industry event and seeing everyone pick up their own empty chip bags. If you leave trash behind, you are leaving those very statements that someone else will clean up after me. 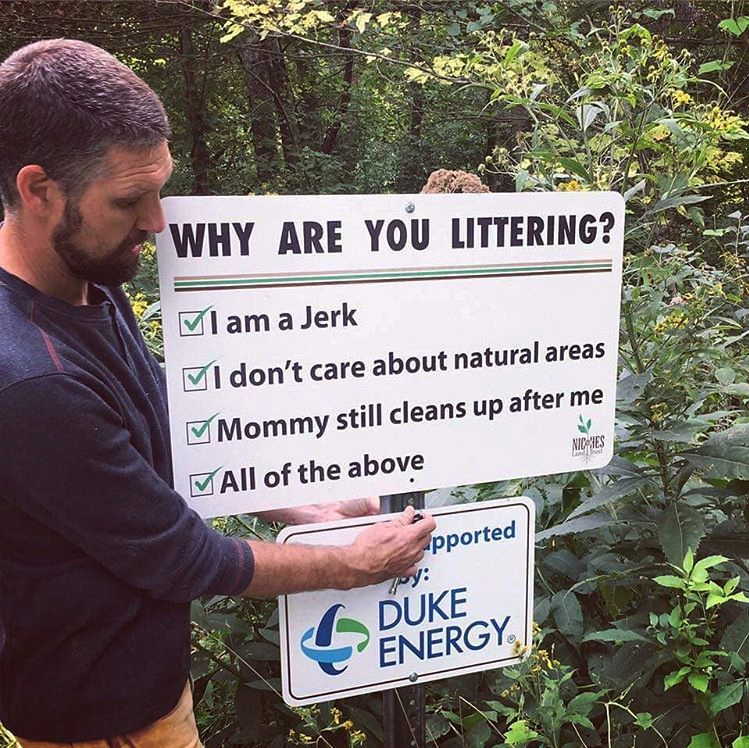 But, we are never too good to recycle our own beer cans, use a trash receptacle, or place toilet paper/wet-wipes into a Ziplock after pooping in the woods. 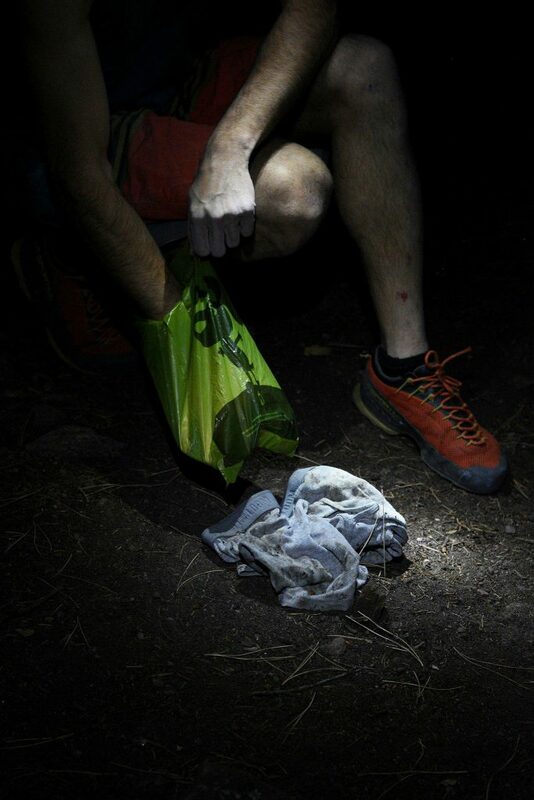 Underwear found near the Satellite Boulder in Boulder, CO. Photo by Bidimpata-Kerim Ntumba Tshimanga. With increasing participation rates across public lands, there’s no question that the majority of us in the mountainous west value public, indigenous lands. Yet our presence in these spaces has already drastically changed them. Leave No Trace was established by the U.S.D.A. in the 1960s to help mitigate our impact, then was officially incorporated as a nonprofit organization in 1994. In a recent article by Brooke Jackson, she offers updates to these principles in order to adapt to the current times, such as “Don’t do it for the ‘Gram,” “Minimize Personal Pollution” (noise), and “Give Back.” That last update being immensely critical, in my opinion. Obviously, it’s impossible to erase ourselves, and I don’t think that’s something we should do—we have a right to exist, yes, but what I’m arguing is: let’s do it mindfully. All other species, flora and fauna, have a right to be here, too. The seven principles seem like such common sense. Yet, we haven’t internalized the messages to live them day in and day out in our own homes. To describe Leave No Trace in one sweeping summary, I’ve come to understand it as the practice of minimizing personal footprint to a degree that successfully leaves no trace. To bring this into the mainstream and home-life realm, I believe this should also include our carbon footprint as a species and the overall legacies we have the potential to leave behind. The social and economic implications have already begun, and so have the development of tangible solutions. 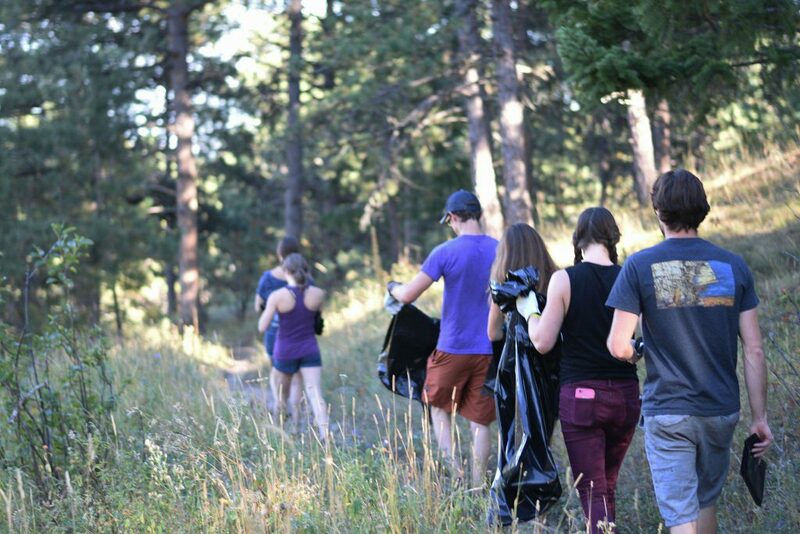 Friends take the initiative to collect trash on public land. Photo by Bidimpata-Kerim Ntumba Tshimanga. Think of your precious beer: beer is an agricultural product. The food and farming industry both have supply chains of climate, weather, and water. So without clean water or the predictable climate and weather that human agriculture was founded through, the question arises: how will the crops of malted barley, wheat, corn, and hops be affected? Even though Katz was addressing an audience of business elites and industry media, his message applies to all of us and our everyday lives as well. The majority of us in this country spend large portions of our time indoors anyway, so we need to reevaluate the ethics of our default, blasé selves. These defaults will continue to naturally seep into our outdoor experiences. Redefine the core and the rest will follow suit. Enough with the shaming, what can we actually do? Lo and behold, we already have systems in place to enact on these principles in our daily lives: Recycling, ridesharing, public transportation, environmental education, the HIGG Index (a sustainability tool for businesses), and even conscientious diets—all available for your daily use—but the problem of waste, adversity to change, and misguided information remains. 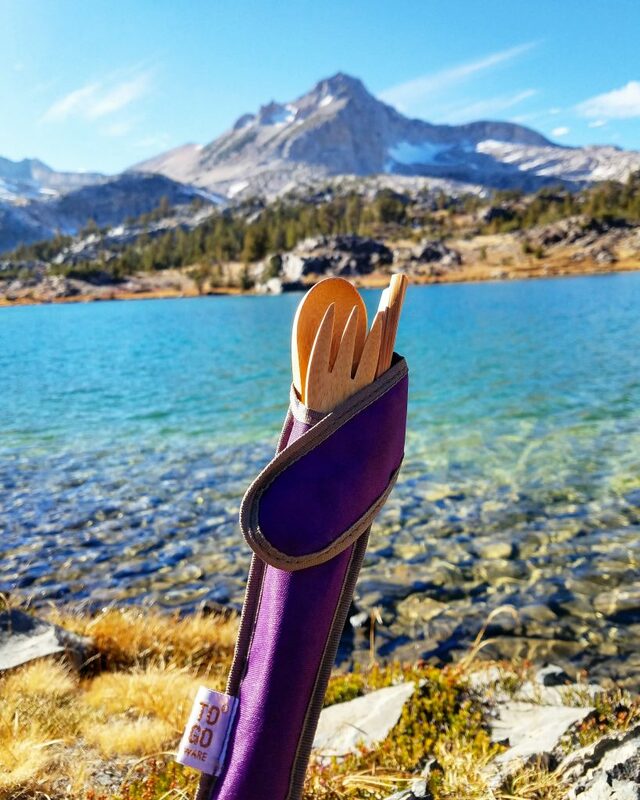 “No disposable utensils when hiking/backpacking also means no plastic utensils enclosed in plastic to keep them clean. I use this reusable set outdoors and in the city.Saying no to single-use anything is always a good place to start.” – Jamie Gonzales. Photo by Jamie Gonzales. Everything comes back to that fear of systemic change. It’s not always convenient to recycle or rideshare or curb our own pride, so it’s ever-more important that communities allow for it to be convenient and accessible. Like providing compost services or recycling bins next to every trash bin. It’s important that we nurture failure as a natural process. That we can try things for the sake of trying. That we can let others speak and not be offended. So my challenge to you, to myself, to everyone, is to consistently analyze personal habits and routines. Find something to change, and it can be as simple and as small as you need it to be to actually make it happen. Take a list so tangible, like the one Leave No Trace is built on, and adapt it to your own life, from all angles. Maybe you buy one less coffee a week from Starbucks (hey it even saves you money!) or commit to bringing your own thermos every time. Maybe you choose to say, “Thank You” more. And if reducing your carbon footprint motives you, let it motivate you. If you don’t care about that, then focus on the legitimate amounts of money you can save by using less, recycling more, sharing a commute with a friend or colleague, and eating out less. If you’re insanely busy and have no time, then use your vote to support initiatives and those who do have the time, then question your use-habits anyway. Commuting to work via bike is will hopefully become more of a common thing in the U.S. 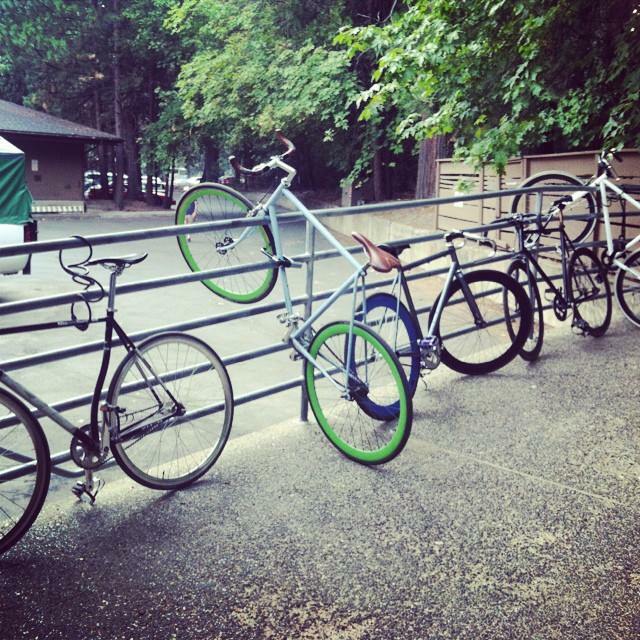 Here, employee bikes are seen locked behind the Mountain Room Restaurant in Yosemite Valley. Photo by Sara Aranda. This is obviously important the outdoorists motto of “ensuring the well-being of our communities and planet for future generations.” But humans are not very good at dealing with future existential crises, as Paul Hawken, editor and co-author of “Drawdown,” stated during the OR Industry Breakfast. I’m so guilty of this. People don’t change by seeing the light, they change by feeling the burn, right? But this is where I slap reality in. We just need to get over ourselves. Even if you believe change in your life won’t affect these greater causes, it still has value. Shift your focus there anyway and march on. It takes discomfort and conflict and small steps, one by one—but that’s how new habits are formed. That’s how we become the holistic stewards we claim to be. Lead by example, indoors and out. It can be a slow and painful process, but isn’t that why we wake up early to play outside? Hike that fierce trail? Where hard work out there earns great reward? Change is no different, and this ability to adapt over time is a natural and inherent quality already born into every single one of us. So use it. Use it well. How do we become the best stewards of public lands? Photo by Sara Aranda.